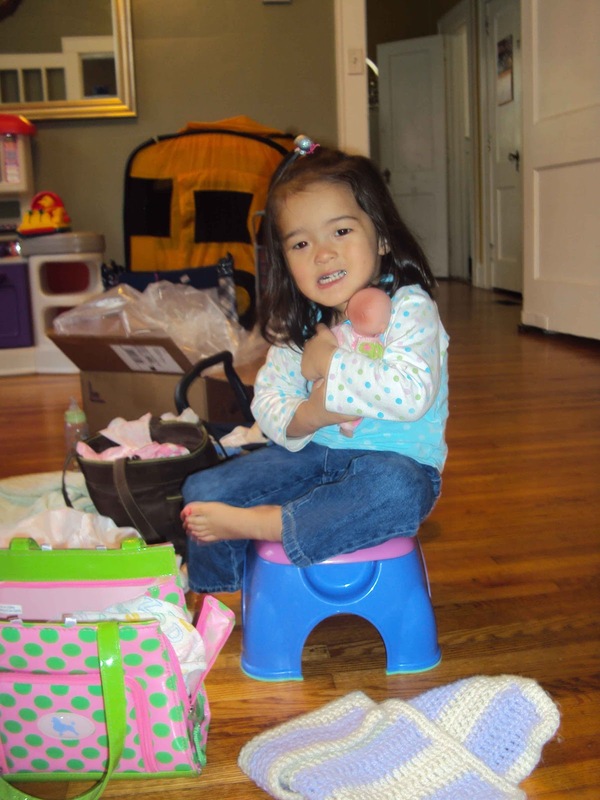 Getting a little "boost" from the Nuby Step Up Stool. It's a stool AND a seat! 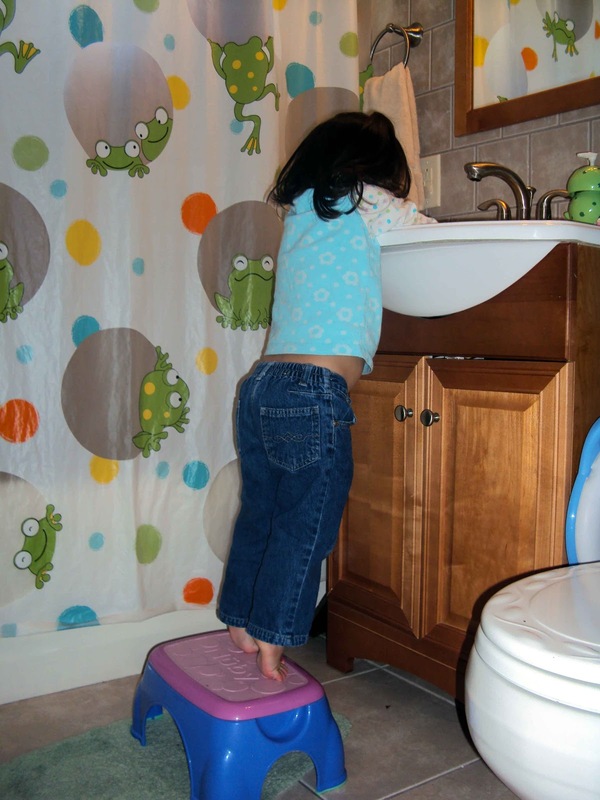 I was pretty excited to get the Step Up Stool from Nuby to review because Lil' Miss really needed a stool for the upstairs bathroom sink. As she gets older and more independent, she doesn't always want my help accomplish various tasks- even if she has physical limitations (i.e. she can't reach the sink to wash her hands by herself). So, as soon as we opened our box of items to review, we put the stool in the bathroom. Katy immediately wanted to wash her hands. So, she tested it out. The stool gives her just enough boost to reach the faucet handles and wash her hand independently. Yay!! We like the rubberized stool top that allows for some traction (and less chance of falling). Also, the product claims to hold up to 800 pounds, so that means that even I can use the stool to reach a little higher (no short jokes, please ;0). One of the limitations I've found with other children's step stools is that they have a very low weight limit that doesn't always seem practical for everyday, family use. As you can see from the picture above, not only does Lil' Miss use the stool for it's intended use- giving her a boost- but she also likes to sit on it and turn it over and use it as a bed for her baby dolls. So versatile!